This gorgeous 4 bed/3.5 bath home with fully finished basement is located on one of the most desirable lots in Bridgwater Lakes with massive prairie views! The eat-in kitchen features maple Yorkshire smoked stained cabinetry, walk-in pantry, Whirlpool S/S appliances, large island with raised breakfast bar. 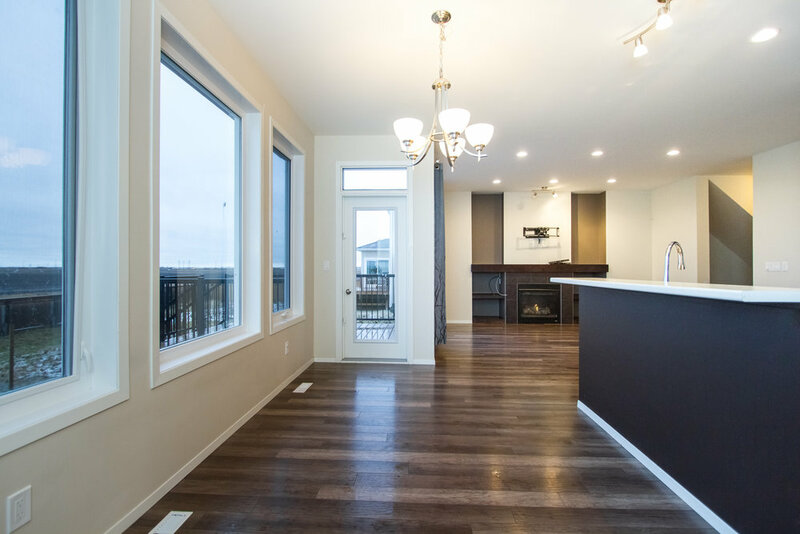 The dining area features three massive windows overlooking the huge fully landscaped yard & brand new deck. The 15x11 great room is large enough for entertaining but also cozy enough for relaxing nights in front of the gas fireplace. 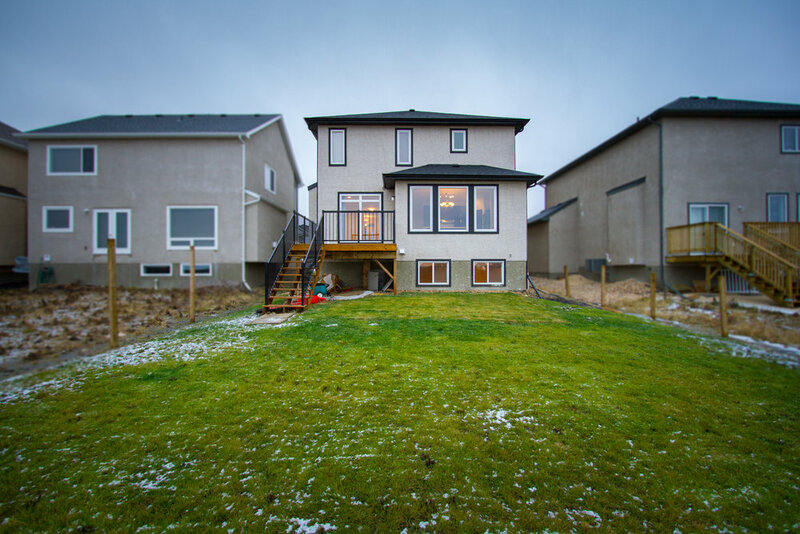 As a 2014 build, buyers can take advantage of new home features like 9ft main floor ceilings, piled foundation, upgraded wide plank laminate flooring & transferable new home warranty. Going upstairs, buyers will be thrilled with the 4-bedroom plan. 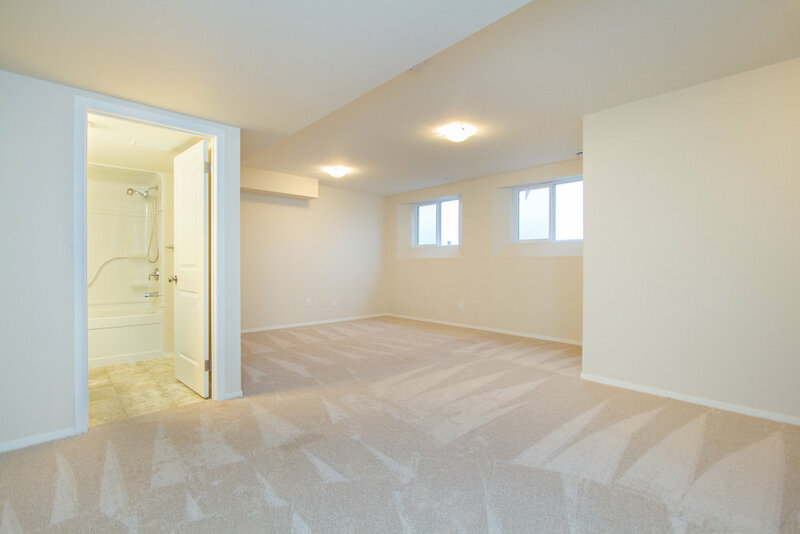 Every room is large & the master bedroom features a 5 piece spa-like en-suite with double sinks, large shower area & impressive walk-in closet, PLUS second floor laundry room. Book your showing at sunset and you’ll buy the house for sure—the sunsets over the wide open prairie in your back yard are jaw-dropping!